Now, wait a minute—what does it mean for a card to be complete? Well, that's for you to decide! 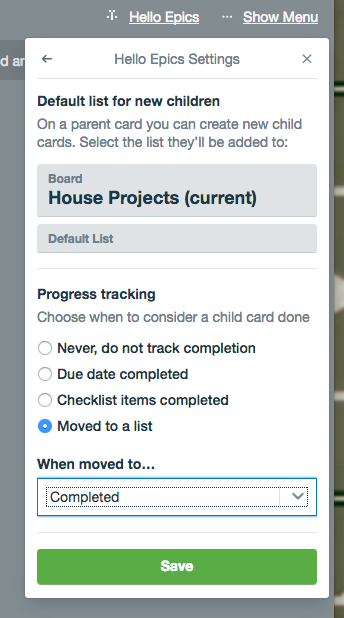 Hello Epics can consider cards complete based on what list they are in, a completed due date, or a completed checklist. 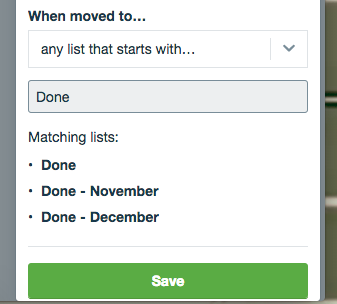 These settings are specific to each of your Trello boards, so you can set different completion states for different workflows. 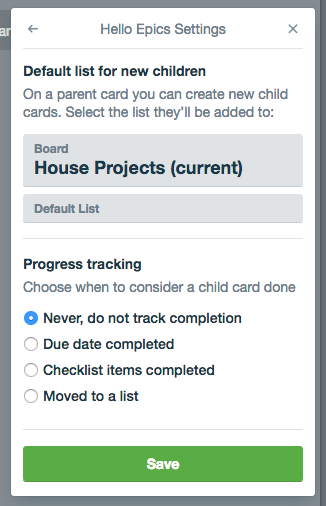 As you can see in our example above, you could have an unqualified Done list (perhaps for your most recently completed work) along with dated Done lists, all of which would mark their contents as completed as far as Hello Epics is concerned.